Villa Varadero is the perfect Dominican villa to take the time to kick off your shoes, lay back and enjoy. 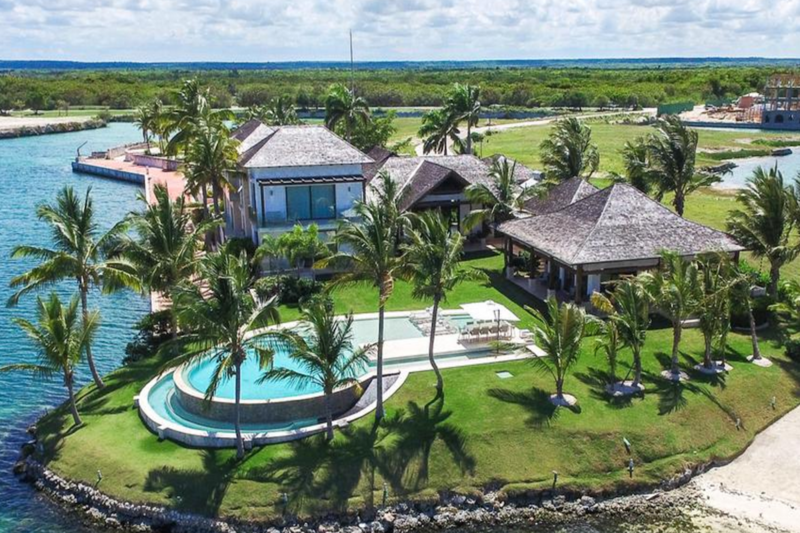 It is one of the most exclusive and secluded villas in Cap Cana, in one of the most renowned gated villages in the whole Caribbean. It has a great view of the marina, which has trendy restaurants, bars, an incredible nightlife and a small grocery store where you can find snacks and other provisions. Also, you don´t have to walk far to get to the blue waters of the Caribbean, because this property has private access to its own beach within the marina where you can chill with your family and friends. A grand foyer greets you when you enter the villa, high ceilings and large windows let in lots of natural sun light, highlighting the stylish decor. You will find a fully equipped kitchen, a modern breakfast nook, and a spacious living room to watch TV. Plus there is a stylish alfresco dining space and a refreshing pool you can enjoy 24/7, just outside. On the main floor there are three bedrooms, one with a king size bed, full bathroom with shower and walk-in closet, the other two bedrooms each two queen size beds, full bathroom with showers and walk-in closets. Upstairs you will find the majestic master bedroom with a king size bed, full bathroom and double shower, walk-in closet and TV. The fifth bedroom has a king size bed, full bathroom with shower and walk-in closet and the sixth bedroom has 2 queen size beds, full bathroom with shower and walk-in closet. The seventh bedroom has a king bed as well. The villa has a private dock, where a 200 ft vessel can moor and it’s equipped with 3 electric and water stations for smaller boats (not included in the pricing).